Even though I did find Justice League entertaining enough, there’s no denying there was a certain amount of disappointment leading to the build-up and not being able to see what was originally intended, not to mention the deleted footage seen in the various trailers. If you go in just expecting a insubstantial popcorn flick, it’s fine, but it certainly did not live up to the title. Alien: Covenant had plenty of potential as it starts off well enough before taking a nosedive into derivative territory, filled with idiotic characters, and an utterly stupid finale. 20th Century Women is a fine ensemble drama with some great performances, namely by Annette Bening and Greta Gerwig with a compelling enough story. The Blu-ray released by Lionsgate offers up good video and audio transfers and some so-so bonus material. 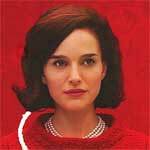 Emotionally distant at times, Jackie is propelled mostly from the Natalie Portman’s performance and also features respectable production and costume designs as well as an intriguing enough character study. Lionsgate has announced the date and released artwork for the drama, 20th Century Women starring Annette Bening, Elle Fanning, Greta Gerwig and Billy Crudup and directed by Mike Mills (Beginners). Click on the link below or image to the left to check out the features and artwork. Spotlight might not be at the top of my best of 2015 list but it’s still a well made film all around from the efficient direction, tight writing and brilliant performances (save for Ruffalo in the one scene) so I have no qualms with its recent win for Best Picture and say it’s well worth purchase. 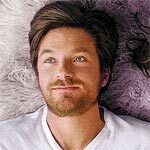 The Longest Week has a great cast and an interesting story, but the execution was off and seemed to draw from other, often better, movies and filmmakers like P.T. Anderson and Woody Allen, the latter especially. If you can get over the pretentious nature of the two male leads then it might be worth a rental, otherwise skip this misfire of a drama-comedy.